Mercury’s V-8 and V-6 FourStroke outboard engines received several patents last year. Photo courtesy of Mercury Marine. Brunswick Corp. was awarded 126 U.S. patents during 2018, up nearly a third from its 2017 results and nearly double the number it was awarded in 2015. Brunswick had earned a spot among the top 25 Illinois companies receiving the most number of patents in 2015, 2016 and 2017, reported Crain’s Chicago Business, according to the company. The company earned patents in its marine engine, boat and fitness divisions; Mercury Marine and Life Fitness accounted for “a significant portion” of the patents awarded last year. “What is particularly gratifying is how our company continues to successfully translate these technological advances into new and improved products for the recreational markets which we serve,” said Brunswick CEO David Foulkes. “For example, a large number of the patents earned by Mercury Marine were related to its unprecedented release of nearly 20 next-generation V-8 and V-6 FourStroke outboard engine models during 2018, a collection of engines that not only extend and fortify our product and technological leadership in propulsion and systems within the global marine industry, but also are proving very popular in the marketplace,” said Foulkes. 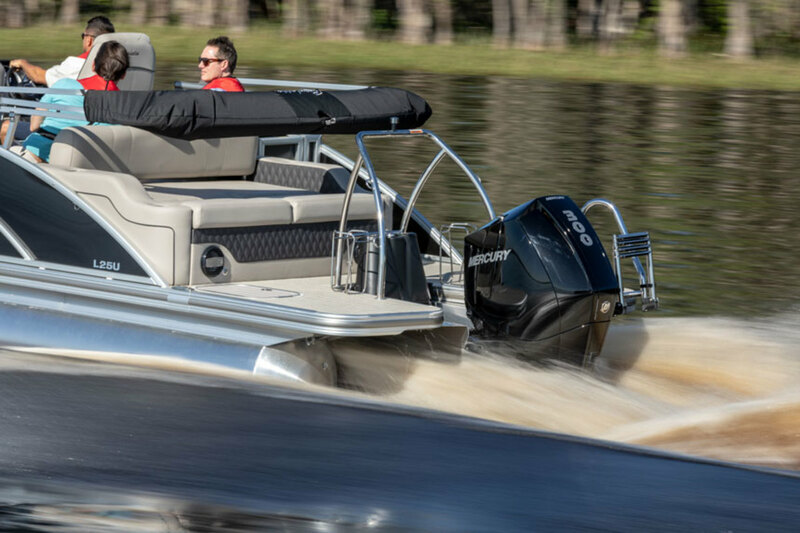 Mercury Marine garnered a record 88 patents, an increase of nearly 25 percent from its 2017 results. These included enhancements to Mercury&apos;s station keeping system, which automatically keeps a boat in a particular location without the pilot needing to adjust, as well as improvements to its joystick piloting system. The Brunswick Boat Group recorded its highest number of patents received annually in each of the past five years, said Foulkes. To augment research and development, in 2017 the company established the Brunswick I-JET Lab in the Research Park at the University of Illinois at Urbana-Champaign. Inspired by the students and the staff who work there, the facility’s name embraces the acronym for Brunswick Illini – Joint Explorations in Technology lab. The I-JET Lab works closely with Brunswick corporate and divisional resources to further accelerate the company’s progress in areas of interest, including the Internet of Things, advanced analytics, and a range of human-machine interaction and enhanced user-experience technologies. Brunswick and Chicago-based TechNexus Venture Collaborative also formed a joint venture in 2017 to identify and advance transformative innovation to unlock new growth opportunities. Among other services, the joint venture provides diligence, incubation, direction and ongoing collaboration to aid and ensure development of those receiving investment. The venture has made several investments during the past two years.